The industry’s #1 trusted cleaning solution. We never use historical data. Under a penny per email. The more you verify, the lower the cost. Time is money. Clean 10k emails in as quick as 3 minutes. Email, Phone, & Live Chat available when you need us. Get in touch. Bounce more than 3%, we’ll refund the difference. Learn more. Test your data before you send it, we'll let you know how many emails might bounce. 1,000 free API verifications every month. Integrate anywhere and monitor directly from your account. Share credits, access your team members’ lists, monitor account usage, and share your API and apps throughout your organization. Are you a new user? Request a free test from our contact form to run a sample list. Pay as you go, bulk credits, or monthly billing. Available by live chat, phone, and email 9am-6pm EST. Search for common questions and answers. Our dedicated engineers are here to help with integrations. Your data is protected by the same level of security as financial institutions. Your data is never resold or abused in any way. We never send your contacts mail in our process. NeverBounce utilizes a 20+ step proprietary cleaning process that is unmatched, checking each email up to 75 times from around the globe. We remove up to 99.9% of all bounced emails from your list.  We perform an advanced mail server verification for user identification. Utilizing SMTP and additional proprietary methods. Automatically remove duplicate emails and bad syntax at no charge prior to cleaning. Domains are checked for current live status, including parked domains and overall health. DNS & MX Validation Email servers are checked for consistency and availability. Email cleaning can be complicated, we recommend the emails you should send, so you can get back to business. We eliminate potentially harmful emails through our real-time process. Append additional information to your list with data discovered during verification. Specify the result code format, yes/no operator, and line feed characters. Easily remove duplicates from your list or generate a list containing only the duplicates. Append additional information learned about the email during the verification process. Append a column indicating free mail hosts (i.e: gmail.com, yahoo.com). Append a column indicating role accounts (i.e: support@domain.com, info@domain.com). Append a column indicating the address portion of the email. Generally this is anything before the @ sign. If this address includes an email alias, the alias will not be returned as part of this field.  Append a column showing the alias portion of an email address. If an address contains an alias such as "david+test1@site.com" the alias portion is returned, otherwise this column is empty.  Append a column showing the host portion of the email address. Generally this is everything after the @ sign. Append a column to show the email host's subdomain if applicable. For example, if host was site.example.com, the subdomain would show a response of "site". Append a column to show the email host's domain name. This does not include any subdomain, if applicable, and does not include the TLD or top level domain portion. If the host was site.example.com, the domain would be "example". Append a column to show the TLD or top level domain of the email host. If the host was "site.example.com", the TLD is "com". Append a column to show the FQDN or "Fully Qualified Domain Name". This is the portion of the host that you use to query DNS information. In most cases this will be the same as the host, however if a subdomain was included this will be removed from the FQDN. For example, if the host was "zone-1.zone-2.site.example.com", the FQDN would be "example.com". Append a column to show the FQDN (Fully Qualified Domain Name) of the primary MX record. This is an attempt to determine the ISP hosting the email at a particular address and is useful for grouping addresses together by provider. Append a column to show whether one or more DNS records exists for this host. Append a column to show whether this host has one or more MX records defined in its DNS records. Append a column to show whether NeverBounce was able to connect to a remote mail server identified by the host's MX records. Append a column identify whether emails within a list contain bad syntax. Examples of syntax errors include spaces ( joe. smith@example.com) missing domains (joe.smith@example). From your dashboard, easily upload and clean your lists, verify a single email address, and download your segmented results. Connect to your favorite platforms to easily import and export your lists. Learn more about our integrations.